Fleur-de-lis which originated from the shape of the lily flower brings a sweet-looking look on these earrings. In the past, fleur-de-lis was used by some European royal. And now, it is your chance to show your royal elegance to everyone. 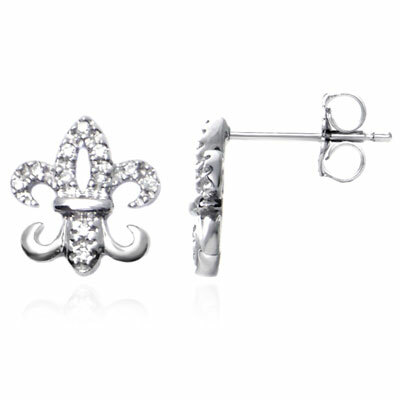 The fleur-de-lis earrings are designed using white gold to give the perfect look and quality. Even more, the sparkling diamonds give those lilies a glow in you that nobody would forget.